Several of you have asked, through different media, what conclusion Naomi and I came to after our negotiations. 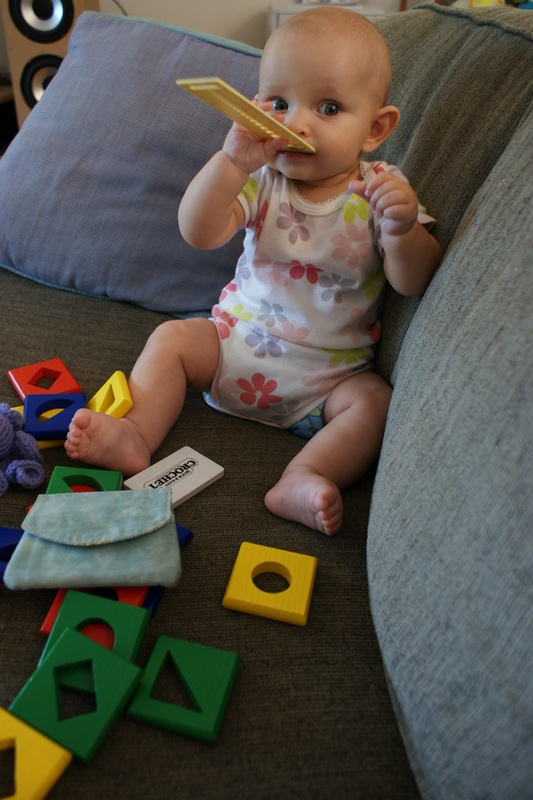 She clearly wanted pink; I wanted yellow; it was threatening to be a serious meltdown and battle of the wills. Even though she’s nowhere near old enough to start dressing herself, I decided it would be a good motherly discipline to submit to her imagined desires. So I’m making her something pink. 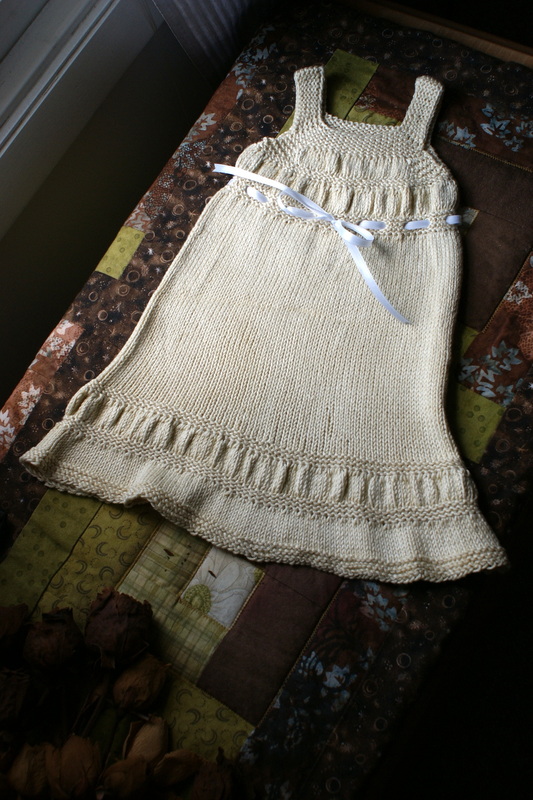 I rediscovered my ravelry mojo soon after that last post, once I realized that what I really wanted to make was not a sweater, but a dress. 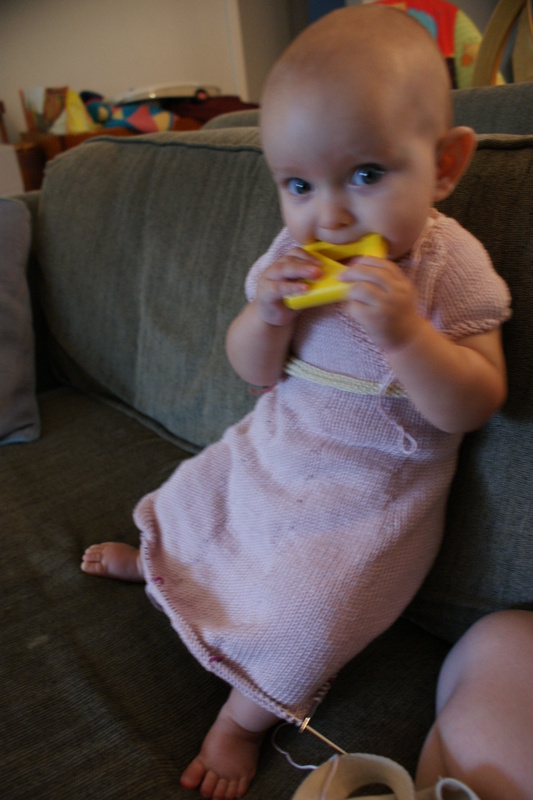 I pored and sifted through many DK-weight baby dress patterns, and settled on two that I just couldn’t decide between. So I picked both! 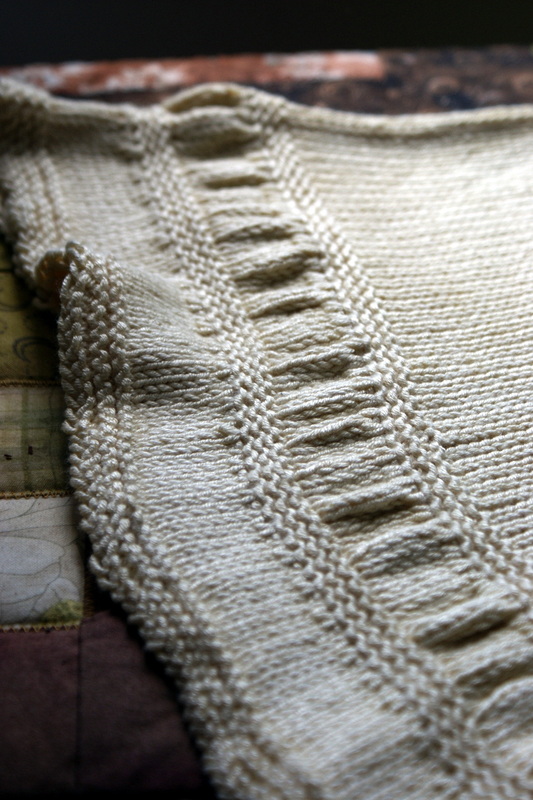 And, quite coincidentally, I found out after I had finished one of them that they are both by the same designer, an Australian named Georgie Hallam whose patterns are incredibly thorough and cover many ages. This one is called Oriental Lily (is it actually not PC now to say “Oriental”? I only have that information from Avenue Q, but I am inclined to believe them). As I said above, Georgie is incredibly thorough, giving sizes for ages newborn through 10 years, at both a tunic length and dress length. 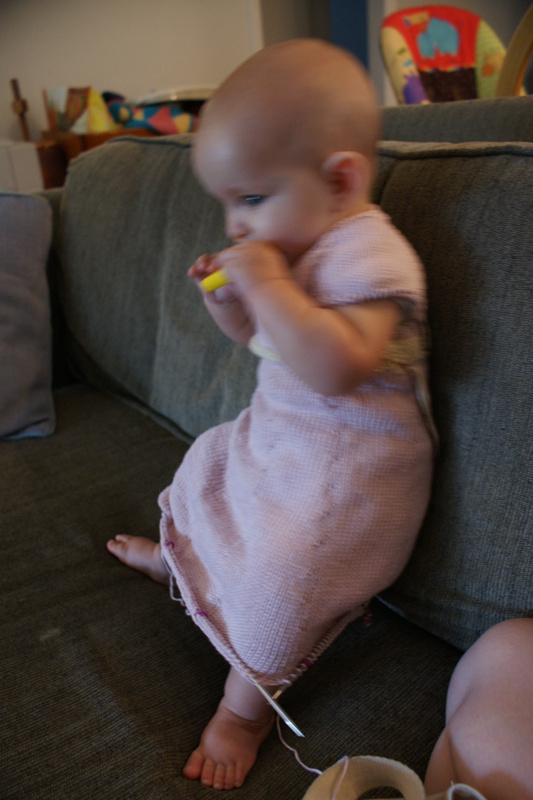 The trouble is, at one point she tells you how long to keep toodling on for on the skirt, but she just gives you “length.” I wasn’t sure – was this dress length before or after the 1″ hem section? 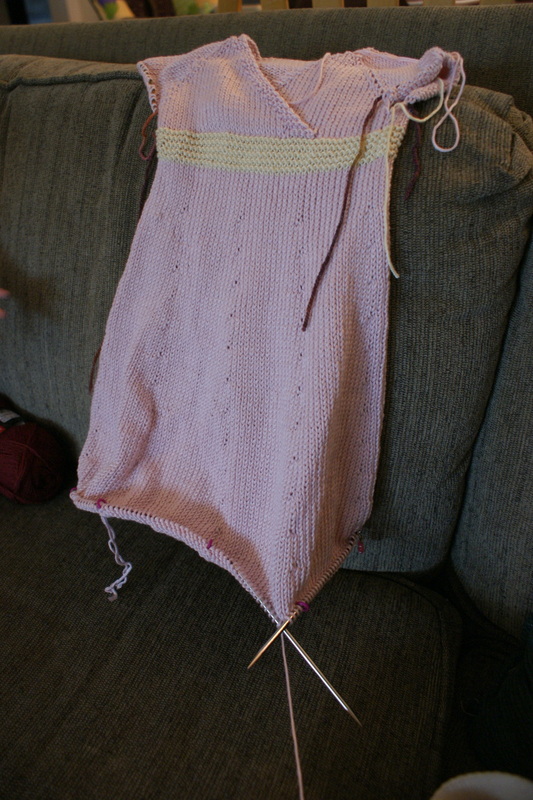 I am making the 9 month tunic length, since Nomes is already about the length of a 9 month old (though she has the chest of a 3-month old, little string bean). So, neither of those guesses is right. I thought I still had at least an inch to go, and it’s already down to her ankles. Could it be that the length given is the length of the entire dress? I really have no idea. I ripped back about an inch and a half, started the hem, then let Naomi play with my notions bag. 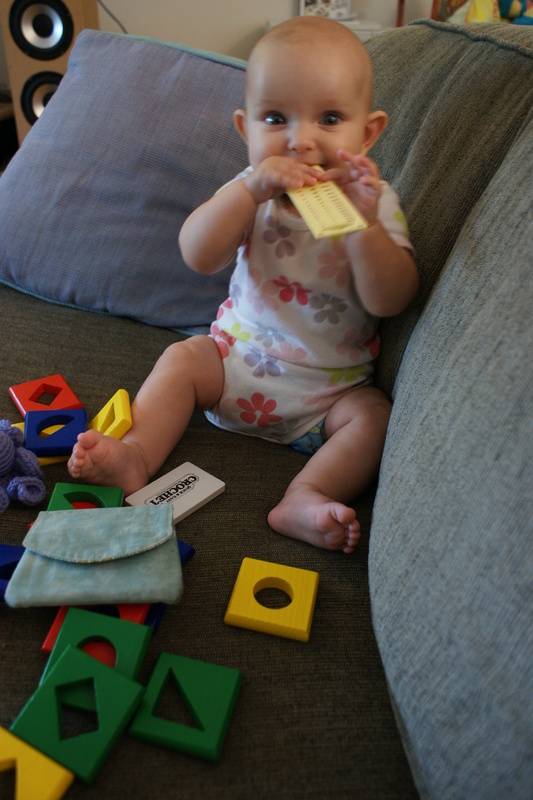 Her favorites were the vintage tape measure and plastic needle gauge… I can’t tell if she’s playing it like a flute or smoking it. 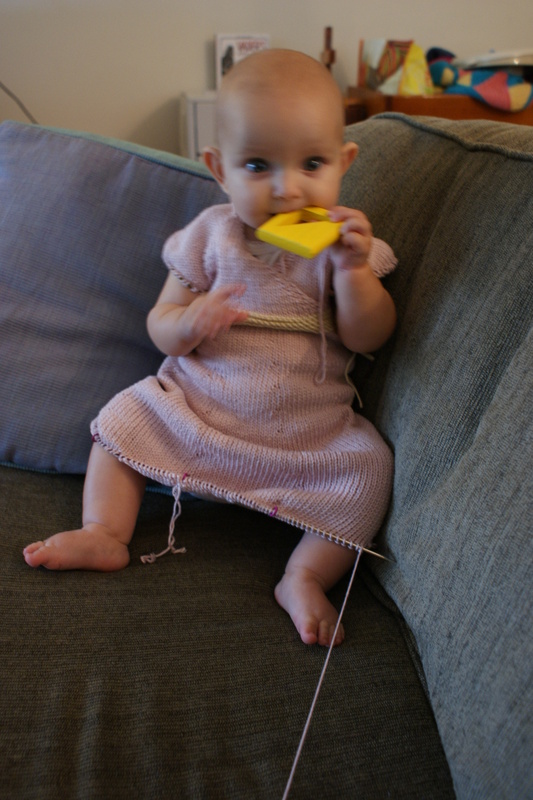 The other dress designed by Georgie I actually knit first. It is called Darwinia, and it’s incredibly sweet. 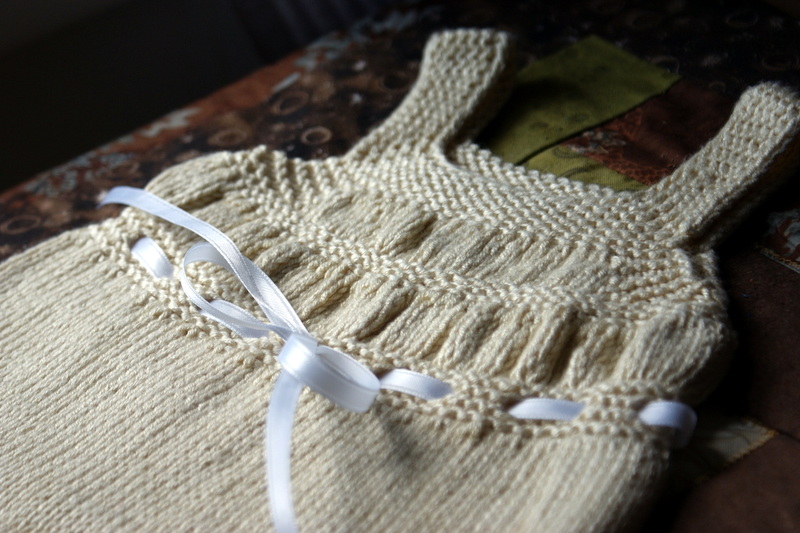 I made the 3-month size (probably way too long), for a little girl due in a month, whose mommy, daddy, and two older brothers have been waiting for her for a very long time. They are both so cute, but I love Darwinia! The white one is so beautiful it could be a baptism dress…..with a tiny shrug? It’s sweet to see Naomi in a dress. So cute. I can see her approval beaming out of those gorgeous eyes.